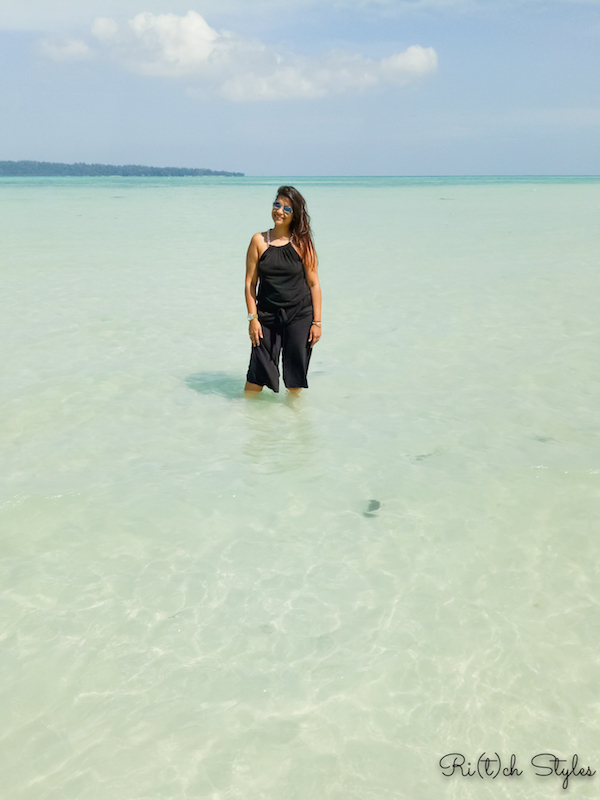 Ri(t)ch Styles : Indian Fashion, Beauty, Lifestyle and Mommyhood Blog: A Newfound Freedom with the All New Whisper Ultra Soft! 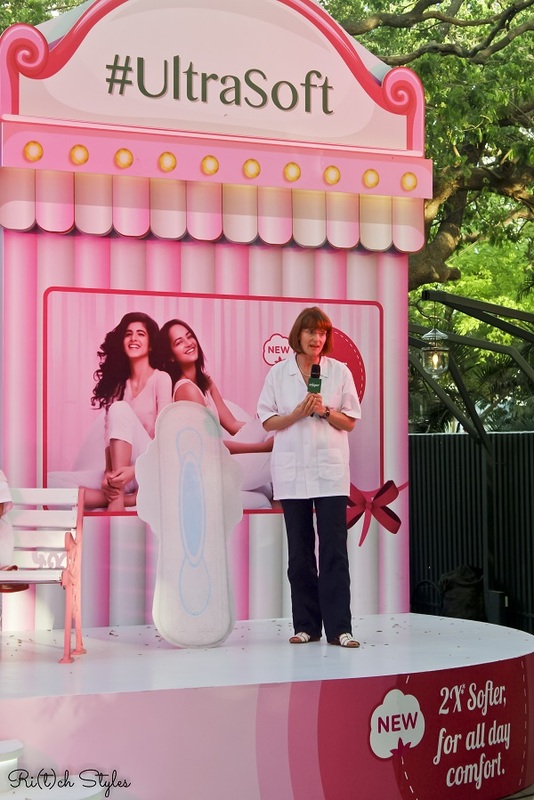 The period is something that no woman can escape and it is so good to see that brands are continuously experimenting and innovating to offer us better products that can help us be more comfortable during our period. Most women have now risen above what society has to say and have now owned their 5 days by being there for their commitments be it at home or work. 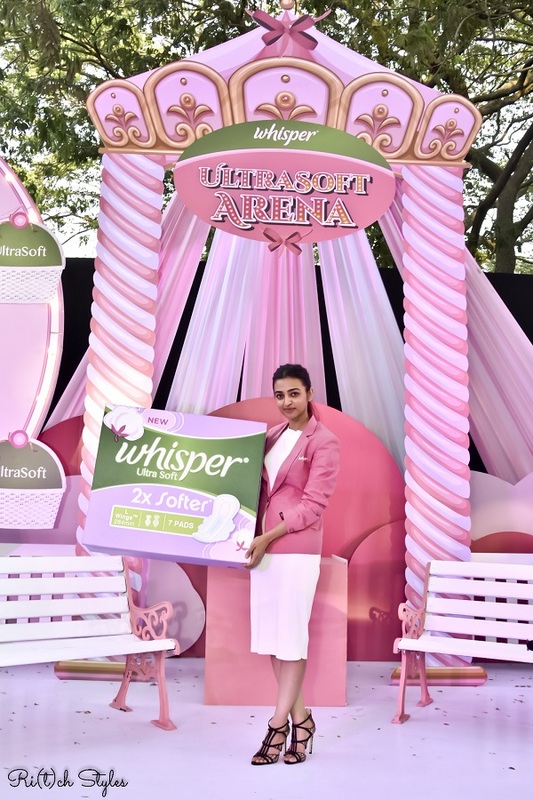 I have been using Whisper for the longest time now because of how hygienic it all feels, and I have always appreciated how the brand keeps innovating and comes up with new technologies that make the sanitary napkin more absorbent and long lasting. 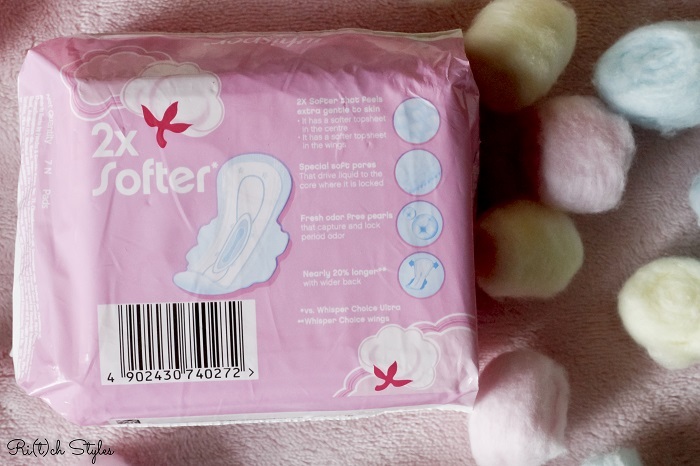 And yes, Whisper has once again come up with an innovative product which can help us be more at ease, a pad that is there but feels like it isn't! 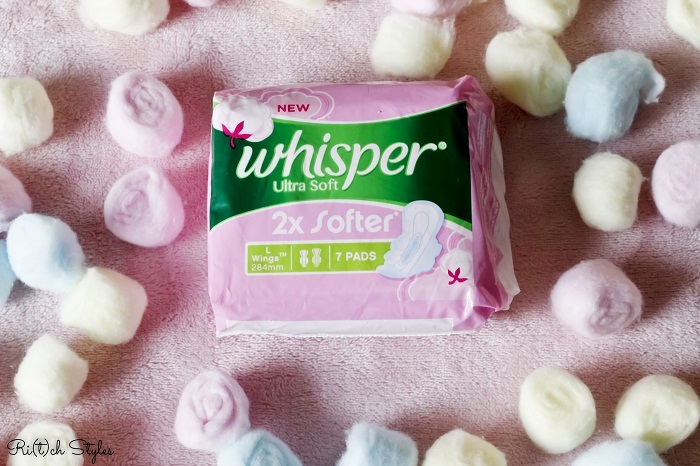 The all new mantra of Whisper with it's latest launch - the New Whisper Ultra Soft, is to be 2x softer on the skin while absorbing wetness hour after hour. The event was fun, the decor was beautiful and it was a pleasure meeting Radhika Apte, who launched the ingenious new product. 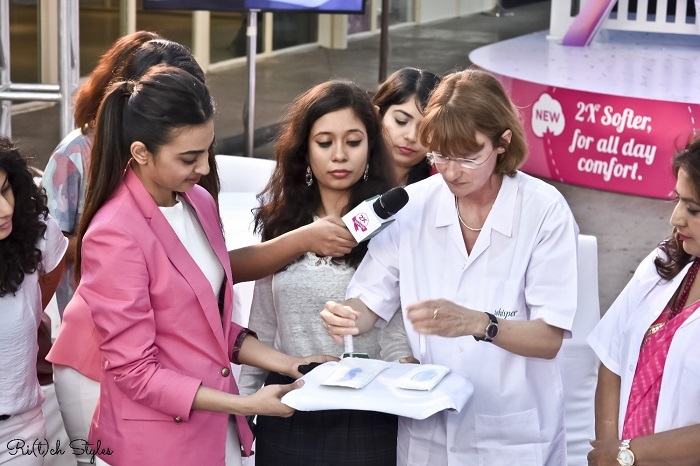 At the event, Radhika Apte, Gynecologist - Dr. Nandita Palshetkar and P&G R&D Expert - Edith Tilly spoke about how the the various issues that women face during their period and how people should treat the issue of periods normally rather than treat it like a taboo. 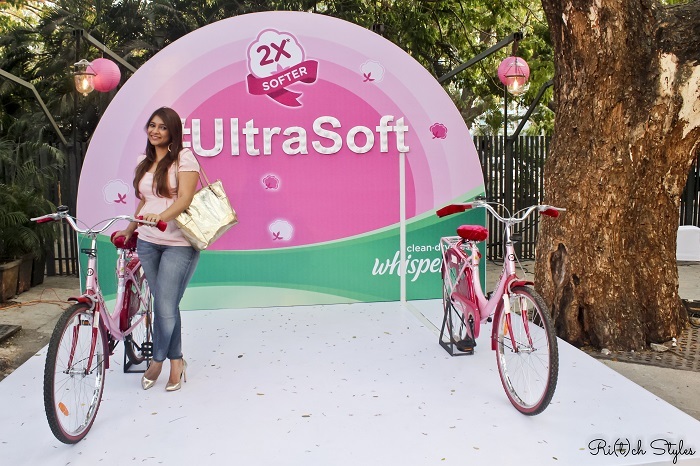 You could see how excited Edith was about the new product with the passion with which she spoke about on the conceptualization to execution of the New Whisper Ultra Soft. 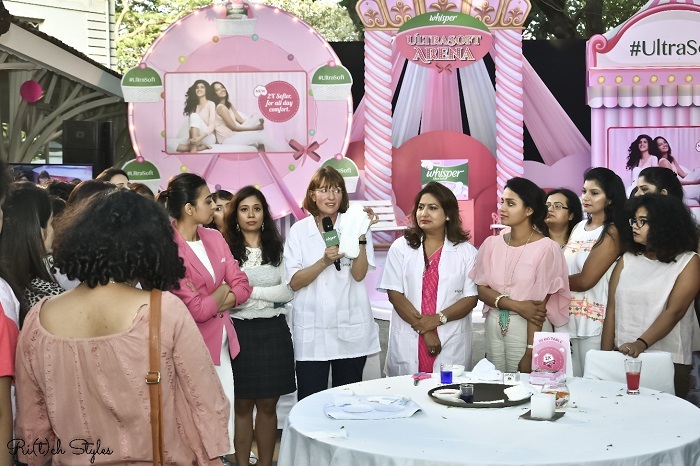 One of the main initiators which they found out via research work, was that a lot of women ended up having rash during their period due to sensitive skin. Thus the key motive to create this product was to suit sensitive skin, and to feel softer. Hence, the magic gel technology in the pad is carefully covered with special soft pores that drive the liquid to the core where it locked, thus making the wearer feel absolutely comfortable in any position. While they did tell us how different the New Whisper Ultra Soft is from the others, they also showed a demo on how the pad works differently because of the special soft pores that drive the liquid to the core. Edith poured equal amount of liquid onto the New Whisper Ultra Soft and another pad. Then she cut them into half and squeezed both. 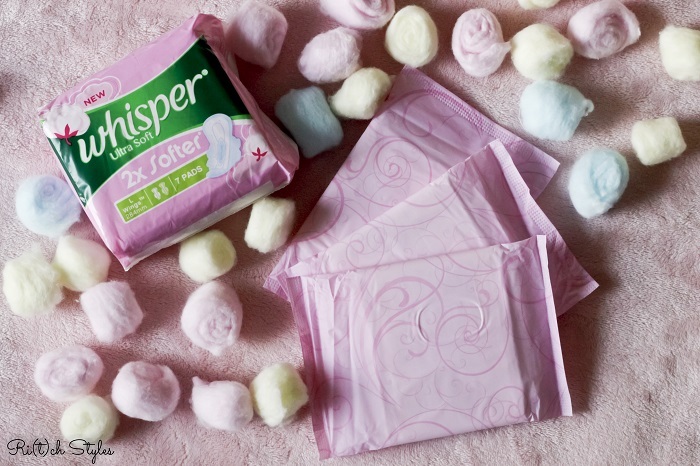 Nothing dripped out of the New Whisper Ultra Soft, while from the other pad you could see drops of liquid falling. Proves how great the new technology works! 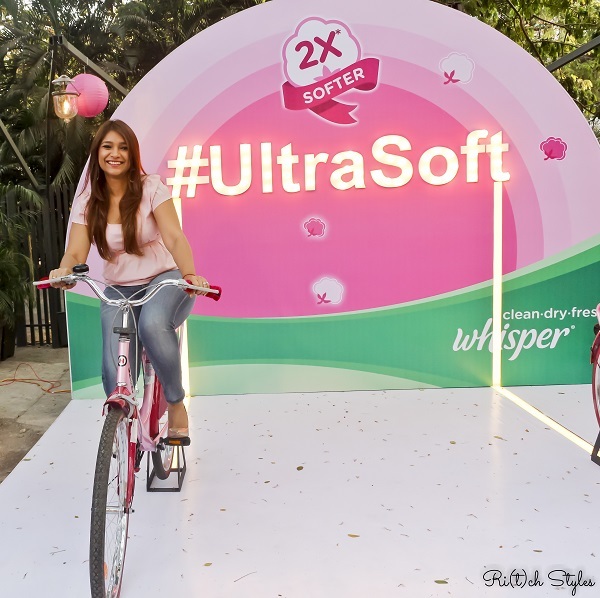 The cycling booth at the event was fun, as we had to pedal for a certain time for the #UltraSoft installation behind to light up and despite being on my period, I did not feel an ounce of discomfort or worry! Here's the video for you see it all! Finally it is time for me to review the product and I am glad I could try it out even before it was launched officially to know that everything that was being demonstrated was for real. 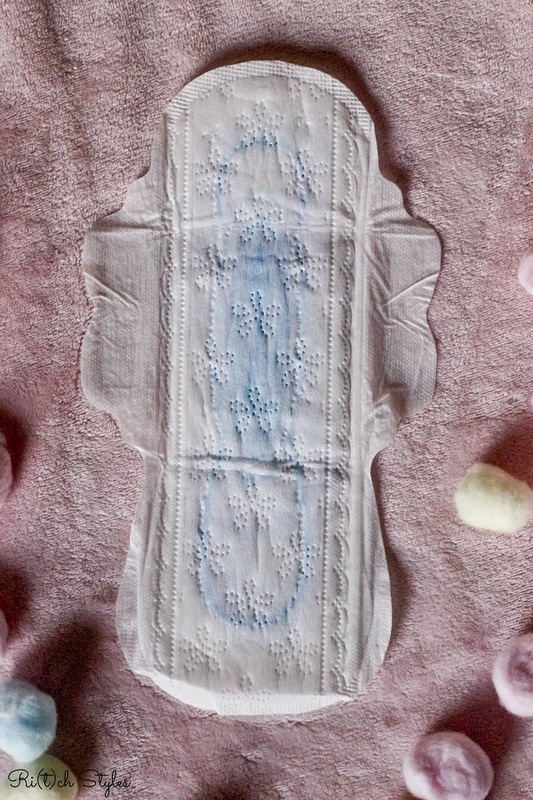 I have never worn a pad that makes me feel so comfortable. I actually don't feel like I am wearing a pad. I know I am hooked to this one! It absorbs instantly and there is no feeling of wetness. For as long as I wear it, it feels absolutely dry. It doesn't give me any rash nor does it cause any irritation . In my earlier pads, I used to feel irritable where the wings are especially, but the softer top sheet in the wings area prevents it. Perfect for people with sensitive skin like mine. The 284 mm is a day wear pad and the longer variant which is 317 mm is ideal for an all night use. 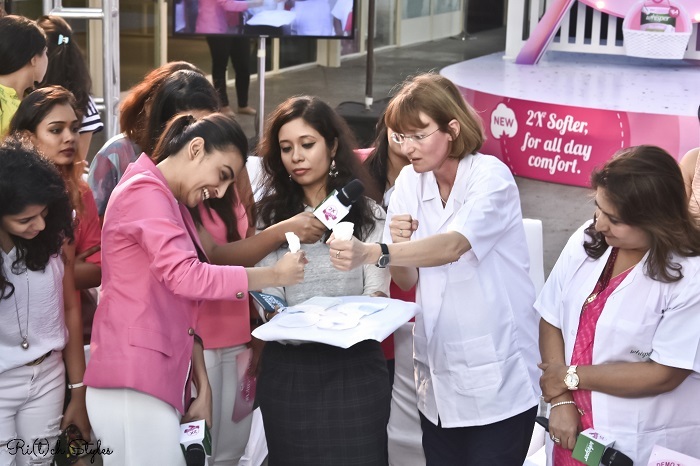 This is great for new mothers, who have to wear pads for nearly a month after their baby is born. Much thinner and lighter compared to earlier variants. If you have a heavier flow, then use the longer variant or the Whisper Ultra Clean initially and then move to this. It's priced at INR 64/- for 7 pads. Whisper has actually made it cheaper than the Whisper Ultra Clean. Ladies reading this post, definitely try it out. 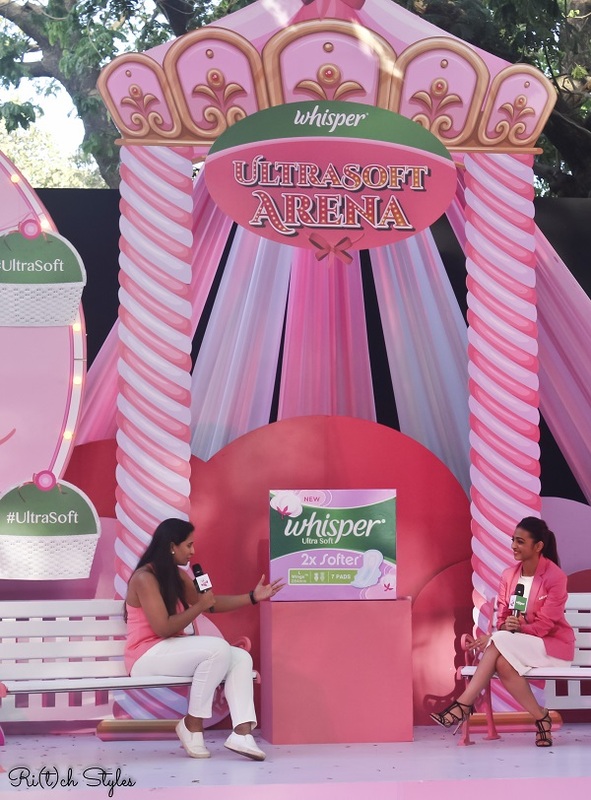 After protection and hygiene, comfort is the new mantra and the New Whisper Ultra Soft is definitely acing it in the comfort department!